The BravoAire F-Series is a foot pedal activated pneumatic grommet press great for hand free operation. 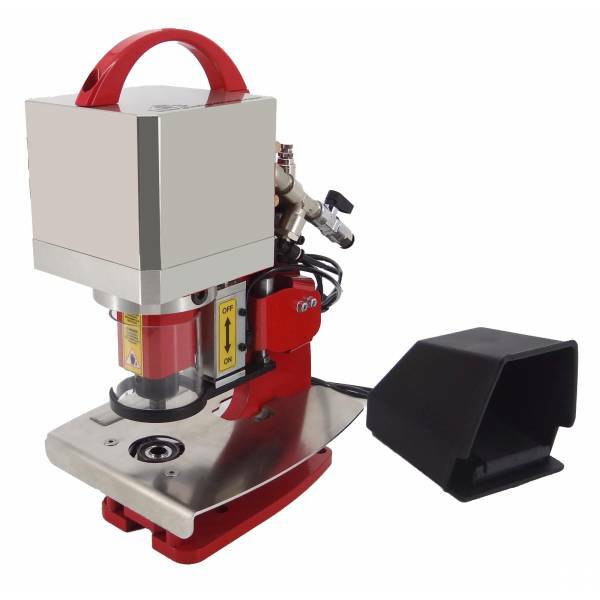 This press features the ultimate in safety features and requires no electricity for operation. This machine is fully pnuematic. Just plug into your shop's compressor and go. (Air compressor not included). Please allow extra time for delivery of this item.